Observation - Small Tortoiseshell - UK and Ireland. Description: It flew slowly and rested on a leaf. 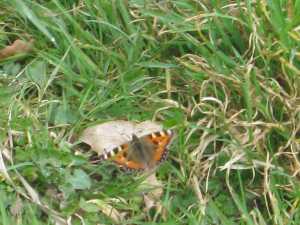 It flew slowly and rested on a leaf.